Want to not spend thousands on workout equipment? Want to exercise from the comfort of your own home? Want a relatively light machine that doesn’t take up too much floor space? Look no further. The Bowflex PR3000 Home Gym is the exercise unit for you. At just $649, this machine is a steal. It’s a great addition to any small home that doesn’t have a lot of space, and you don’t waste time driving back and forth between the gym and your home. It’s a quiet machine, great for homes where sound easily carries, and the machine is built so that it runs smoothly. If you’re looking to buy a new home gym, try out the Bowflex PR3000 Home Gym. It has all the necessary pieces to give you a great workout and with consistent use, you’ll start seeing changes in your body in no time. 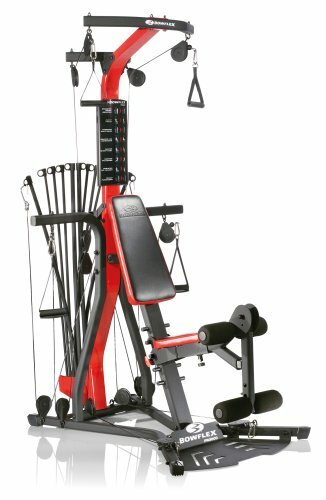 Marked at just $649, the Bowflex PR3000 is very well-priced as compared to other home gyms in the same market. It’s an excellent machine for giving you the results you want to see. Why go back and forth from the gym to your home when the Bowflex PR3000 can bring the gym to your home?